This weekend sees a number of thing happening. One promotion is following up their debut show, another might change forever and a third is putting on a show that some fans are calling one of the best ever in the company's history. Let's get Ready For The Weekend! 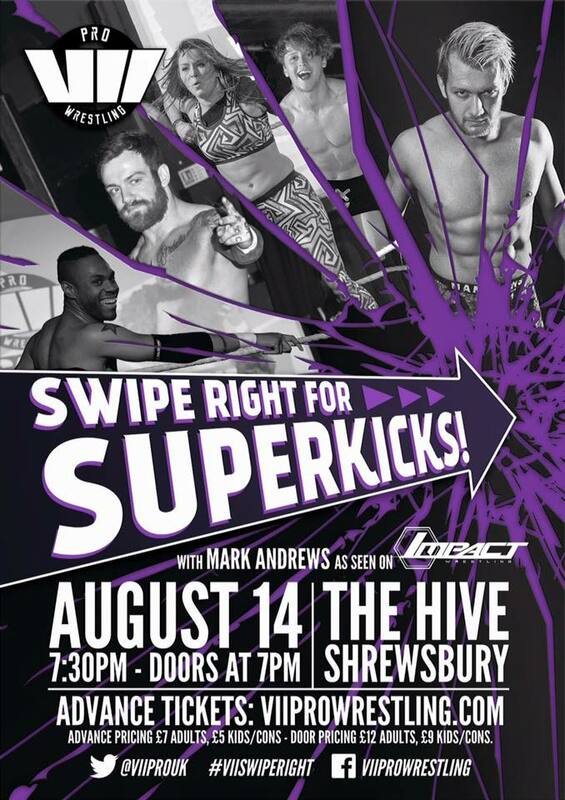 On Friday night, VII Pro Wrestling are hosting the follow-up to their debut show at The Hive in Shrewsbury. The main event for the show was announced during the debut show and will see current TNA star, Mark Andrews return to the UK to face one of the best up-and-coming stars in the shape of Drew Parker. The show will also feature a showcase of Attack! Pro Wrestling when the current Attack! Pro 24/7 champion, Pete Dunne defends the championship against Mike Bird, Love Making Demon and Super Santos Sr in a four-way match. In another multiple competitor match. Ethan Silver, Chris Ridgeway and Pyro will all face each other in a triple threat match. All of these matches plus Ryan Smile vs Damian Dunne and Nixon Newell vs Marc Morgan makes VII Pro Wrestling's second event look like another fun outing for the promotion. 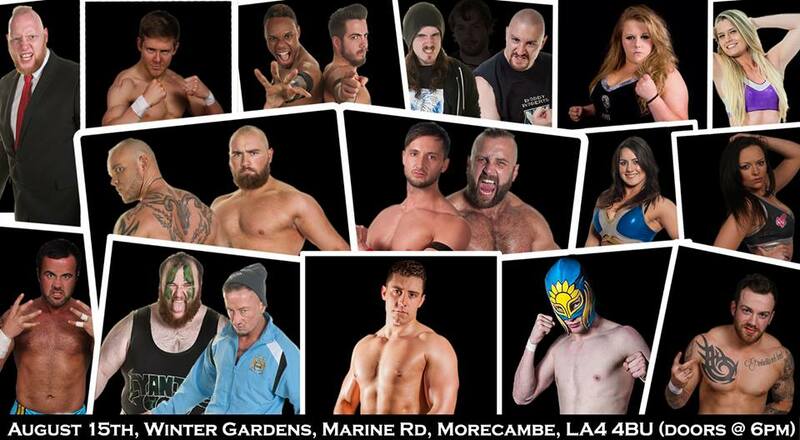 Moving on to Saturday and Paid Promotions are back at the Winter Gardens in Morecambe. Chris Ridgeway will be in action against The Referendum's Solar. 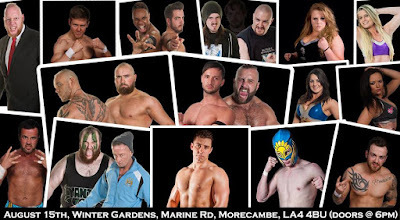 Solar is a bright rising luchador star in the UK right now but Ridgeway has history with masked wrestlers, namely El Ligero who he defeated to end his career in Morecambe. Solar will be looking to break the trend and avoid Ridgeway adding another mask to his trophy cabinet. Speaking of The Referendum, Viper will be in four-way competition on August 15th when she competes against Nikki Storm, Toni Storm & Lana Austin in what is fast becoming a very competitive women's division in Paid Promotions. The biggest match of the night is undoubtedly Stixx & Joey Hayes vs Craig Kollins & Johnny Phere. This match has so much on the line and so many dimensions to it. On one hand if Stixx & Hayes win, Paid Promotions will be renamed Alpha Omega and Greg Lambert will be gone forever. On the other, if Phere & Kollins win, Stixx is stripped of the British Heavyweight Championship and his career in Paid Promotions is over. Then you add in the issue that Johnny Phere & Craig Kollins despise each other and have been beating each other up for the last couple of months. Whatever the outcome at 'Vendetta', Paid Promotions will change forever. 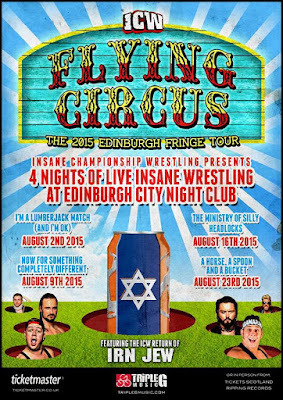 Finishing off the weekend on Sunday is the third Edinburgh Fringe show from Insane Championship Wrestling. This show is quite simple phenomenal. Every match of it is a reason to go to it. 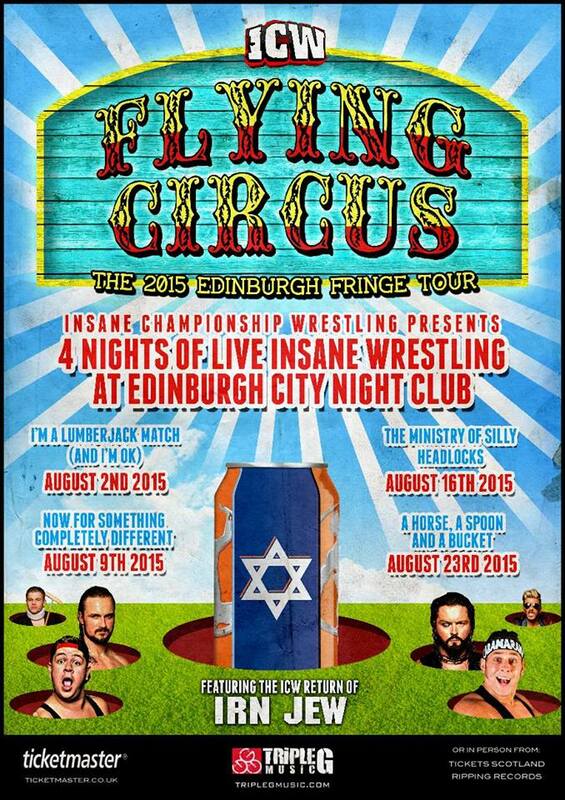 Up first we have the current number one contenders to the ICW Tag Team Championship, Irn Jew's Colt Cabana & Grado face Sebastian & Tom Irvin of The GZRS, who have literally exploded in British Wrestling in the last few months. This match will see not only these men come together in the ring but their cult followings meet in ICW. Another match set for Sunday will give a small glimpse of the war that will take place at 'Fear & Loathing VIII' when The New Age Kliq's BT Gunn, Stevie Boy & Wolfgang face Mikey Whiplash, Tommy End & Michael Dante of Legion in a six-man tag team match. We say match but in all honesty this will be a fight. Probably a very nasty, brutal fight. The main event in Edinburgh will be a rematch from 'Barramania' when Joe Coffey takes on the current ICW World Heavyweight champion, Drew Galloway in a non-title match. Joe Coffey is at breaking point right now, telling the crowd last week that he needs the ICW World Heavyweight Championship to reach the next level. However, Drew Galloway has the cards on his side after his alliance with Jack Jester and ICW General Manager, Red Lightning who is intent on toying with the 'Iron Man'. Lightning initially informed Joe Coffey that he would get a shot at the championship this week only to then change his mind and tell Coffey that he has to beat the champion first before he'll get a match for the title. All of that plus matches featuring Kenny Williams, Chris Renfrew, the continuation of the ICW Women's Championship tournament and a lot more takes place on August 16th.